For that custom look at a very affordable price, nothing beats the Dakota™ 4.5 Windshield. The Dakota 4.5™ uses the same hardware trim and the same Mount Kit (KIT-BI; sold separately) as our Heavy Duty™ Windshield line. 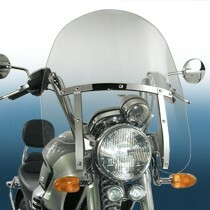 All Dakota 4.5™ Windshield applications for BMW R Series C motorcycles require Mount Kit #KIT-BI. The Dakota™ 4.5 is named for its material thickness at 3/16" (4.5mm.) 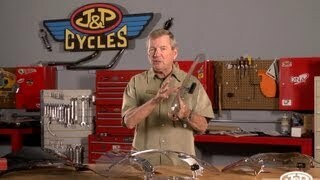 This is definitely a heavy gauge windshield! Dakota 4.5 Windshields use the same Mount Kit as our narrow frame Heavy Duty™ windshields. For that custom look at a very affordable price, nothing beats our Dakota™ Windshields! The Dakota 4.5™ is made from 4.5mm thick High Impact Acrylic, and is precision cut and drilled with computer routed, smooth radiused edges. You can actually feel the difference compared to other brands! Like our Heavy Duty™ Windshields, the Dakota 4.5 has quality chromed steel outer hardware and glare-free black epoxy painted inner hardware. The same Mount Kit used for our Heavy Duty™ Windshields is used also for the Dakota 4.5. Mount Kit is sold separately. 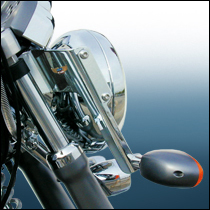 Dakota 4.5™ Windshields are made from DOT and ABE approved 4.5mm High Impact Acrylic with chromed steel hardware. Heavy Duty™ Mount Kits are sold separately.